Below you fill find all funeral homes and cemeteries in or near Anamosa. Suburbs of Anamosa: Amber, Fairview. 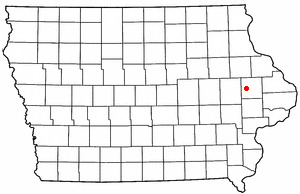 Anamosa is also known as: Jones County / Anamosa city. Zip codes in the city: 52205. Some of the notable people born here have been: (robert hillberg), (clem f. kimball), (peggy wilson (alaska politician)), (sarah corpstein), and (nan wood graham). It was reported by Hartford Courant on December 23rd, 2018 that Janice Niehaus (Levsen) perished in Connecticut. Ms. Niehaus was 86 years old and was born in Anamosa, IA. Send flowers to express your sorrow and honor Janice's life. It was noted on November 26th, 2018 that John Gilman Lozier perished in St Louis, Missouri. Lozier was 74 years old and was born in Anamosa, IA. Send flowers to express your sorrow and honor John Gilman's life. It was reported on January 22nd, 2018 that Everett Rex Owen passed on in Anamosa, Iowa. Owen was 87 years old. Send flowers to share your condolences and honor Everett Rex's life. It was disclosed on July 23rd, 2017 that Beth Lavaun Almon (Wilson) passed away in Danville, California. Ms. Almon was 89 years old and was born in Anamosa, IA. Send flowers to express your sympathy and honor Beth Lavaun's life. It was written on March 25th, 2017 that William John MD Bailey passed away in Lincoln, Nebraska. Bailey was 67 years old and was born in Anamosa, IA. Send flowers to express your sympathy and honor William John MD's life. It was reported on March 15th, 2017 that John A Jackson passed on in Temple Terrace, Florida. Jackson was 72 years old and was born in Anamosa, IA. Send flowers to share your condolences and honor John A's life. It was reported on January 4th, 2017 that Rick Biere passed on in Wauwatosa, Wisconsin. Biere was 66 years old and was born in Anamosa, IA. Send flowers to share your condolences and honor Rick's life. It was noted by Waterloo/Cedar Falls Courier on November 13th, 2016 that Colleen Ruth O'Connell (Connell) passed on in Stockton, California. Ms. O'Connell was 75 years old and was born in Anamosa, IA. Send flowers to share your condolences and honor Colleen Ruth's life. It was reported by Waterloo/Cedar Falls Courier on December 11th, 2015 that Jean Beulah Martin (Israel) passed away in Anamosa, Iowa. Ms. Martin was 95 years old and was born in Denver, CO. Send flowers to express your sympathy and honor Jean Beulah's life. It was disclosed on May 24th, 2015 that James Ray Bumgarner passed away in Tomah, Wisconsin. Bumgarner was 73 years old and was born in Anamosa, IA. Send flowers to express your sympathy and honor James Ray's life. 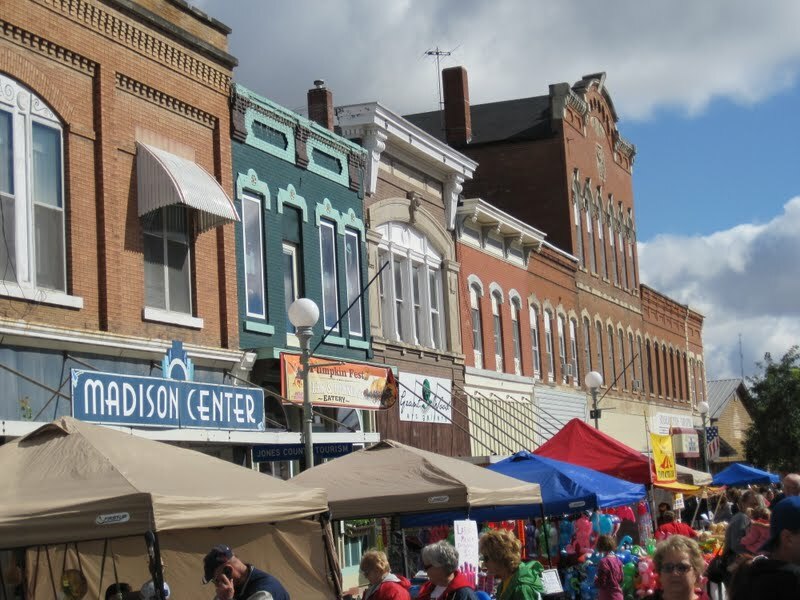 Anamosa was named the Pumpkin Capital of Iowa by the Iowa State Legislature in 1993 and subsequently hosts Pumpkinfest, a pumpkin festival and weigh-off, each October. In Anamosa's early days, many important buildings such as the post office and the church, sat on the street which used to be land Booth owned. It is the county seat of Jones County, Iowa County . What is now Anamosa was founded as the settlement of Buffalo Forks in 1838 and incorporated as Lexington in 1856. Anamosa is a city in Jones County, Iowa County, Iowa, United States. The population was 5,494 at the 2000 United States Census census. The official website for the city of Anamosa is http://www.anamosa-iowa.org. Find embalmers & Embalmers in Anamosa, IA. Read business reviews, find driving directions, and more. embalmers on YP.COM. The finest roses, gifts and Mother's Day flowers delivered fresh. Serving Anamosa, Iowa, surrounding suburbs and the entire country. We work with local florists and flower shops to offer same day delivery. You will find budget sympathy flowers in Anamosa here. Our funeral flowers are cheap in price but not in value.